Dr. Herbert V. W. Bergamini fell peacefully asleep for the last time in the early morning of Tuesday, April 9, 2019, at his home in Lake Placid, embraced by the love of his family and friends. Dr. Bergamini served the Tri-Lakes community for more than 54 years, providing devoted and skillful care to his patients. He was an active member of the Lake Placid Memorial and Saranac Lake Hospital staff since 1957, where he held a variety of offices, including Medical Staff President. He was the sometime-president and decades-long secretary of the Essex County Medical Association, and in the last 25 years of his working life, he was medical director of Adirondack Correctional Facility, including Camp Gabriels. He maintained a private practice until he was 85 and retired from prison medicine at 90. He believed strongly in serving the community in which he lived. He was active in the Chamber of Commerce and the Kiwanis Club. 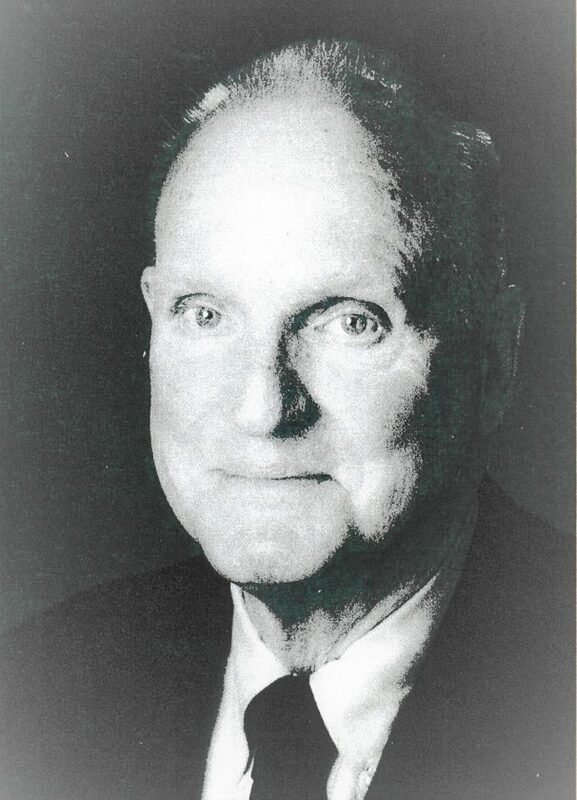 He served as Essex County coroner for 39 years. He was twice president of the Lake Placid School Board: first, when the present Elementary School was built, and second during the 1980 Winter Olympics, when he negotiated with New York state and the Olympic Committee over the use of the school as a press center, the construction of the Olympic Oval, and the compensatory new school sports facilities adjacent to the Lake Placid Airport. He was elected to the Lake Placid Hall of Fame in 2011. Herbert Van Wie Bergamini was born in New York City on June 29, 1924 to Herbert M. and Ann (Sparks) Bergamini. From the age of 5, he lived in Upper Montclair, New Jersey during the school year and spent his summers at Forked Lake, New York, part of the Whitney Preserve where his father was summer physician to the Whitneys and he and his two brothers “ran wild.” Those idyllic Adirondack summers, which continued until World War II, began his lifelong love affair with the Adirondacks and committed him to lake and pond exploration forever. At 13, he went to boarding school in Kent, Connecticut, where he studied hard and rowed ever harder, developing the broad, strong shoulders that allowed him to single-handedly carry a canoe over long portages into his 80s. Kent School’s motto was “Simplicity of Life” and he took that value to heart. He attended Rensselaer Polytechnic Institute, graduating as both an aeronautical engineer and a Navy ensign. Newly married to Marian Miller, he traveled to the Pacific where he acted as a gunnery officer on the destroyer U.S.S. Farenholt. Seeing the war’s devastation in the Philippines, Okinawa and the Korean Peninsula prompted his decision to become a physician, part of the hands-on healing of the post-war world. After his discharge from the Navy, he was accepted at Cornell Medical School, and, with his wife and baby son Michael, moved to New York City to attend. He trained at Bellevue, Memorial Sloan Kettering and later North Shore Hospital, specializing in surgery. He divorced midway through his training. In 1957, he and his wife, the pediatrician Virginia Weeks, along with their infant daughter Malinda, moved to Lake Placid, where his father, the “senior” Dr. Bergamini was performing orthopedic surgery. “Hub” — as he was generally known, or the “Junior Doctor” — joined his father in a practice he continued after his father’s retirement, as both a general practitioner and a general surgeon. He loved being a doctor and often said, “I envy no man what he does or where he does it.” He loved delivering babies, removing gallbladders and tonsils, setting limbs, and perhaps best of all, sewing up wounds so finely that their scars were all but invisible, a skill to which his natural patience and meticulousness suited him. Once established in practice and in the community, he continued adventuring; he became a small plane pilot and then a glider pilot, proud that he had brought sail planes to the Adirondacks. He developed a passion for coral reefs and their fish, spending a month a year in the Caribbean with his family (now increased by two sons, John and Herbert) chasing and photographing fish and watching birds. He bought land at Connery Pond, built an A-frame house there which first served as a summer and then a full-time residence, lit by a generator, water fed by gravity, and open to views of the pond and Whiteface, still except for the call of the loons or an occasional beaver’s warning slap, and a chorus of bird and insect sounds. It was at Connery Pond that he planted his annual gardens of bachelor buttons, cosmos and marigolds. His children still enjoy the serenity and simplicity enabled by of that long-ago purchase and construction. He was preceded in death by his father Herbert M. Bergamini and his mother Ann Sparks Bergamini; his stepmothers, 1) Mary Hinckley Bergamini and 2) Kathleen Ardil Bergamini; and his two brothers, Edwin and John Bergamini. He is survived by his wife, Laurie; children, Michael (Harli) Bergamini and Malinda (Glen) Bergamini Chapman; John (Grete) Bergamini and Herbert (Erica) Bergamini; two stepchildren, Michael (Olga) Adams and Hadley Adams; as well as 14 grandchildren: Linnaea, Ben, Riley and Colvin Chapman; Sam, Jack, and Nicole Bergamini; Erik and Michael Bergamini; Adam Bergamini; Victor and Kathleen Adams, and Aidan and Rowan Mellin. He was a regular communicant of The Church of St. Luke the Beloved Physician in Saranac Lake, where his funeral will be held at 11 a.m. Monday, April 22. A reception will follow in the Parish Hall immediately afterward. Interment in Lake Placid will follow in the summer. In lieu of flowers, please make a contribution to St. Luke’s Outreach Committee or a charity of your choosing. The M. B. Clark Inc. funeral home in Lake Placid is in charge of arrangements. Relatives and friends are invited to share a memory or leave condolences at mbclrkfuneralhome.com.